Have breakfast with the Cadbury characters at Cadbury World - EXTENDED! 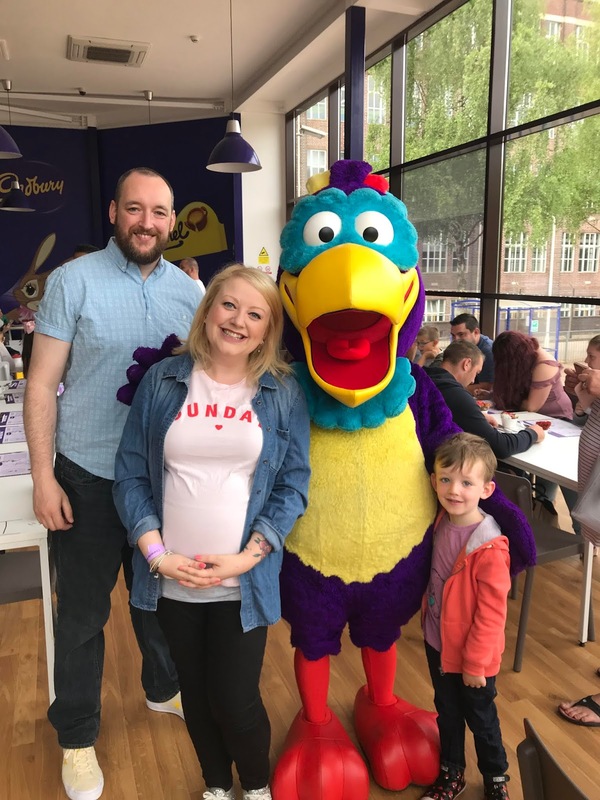 * Update: since first posting this last week, Cadbury World has announced that due to popular demand, their character breakfasts will be running again from 2nd August to 2nd September 2018, so you have even more time to plan a visit before the end of the summer holidays! When we told Ethan that we would be going to a real life chocolate factory (a bit like the one from Charlie and the Chocolate Factory by Roald Dahl), he understandably was very excited... and little did he know that he would be meeting the Cadbury characters over breakfast too, during our visit to Cadbury World on Sunday. The excitement as we waited to go in was almost like we were back at Disneyland Paris, as Ethan eagerly tried to spot Cadbury Parrot, Caramel Bunny, Bertie Bassett or Fredo the Frog (his personal fave). 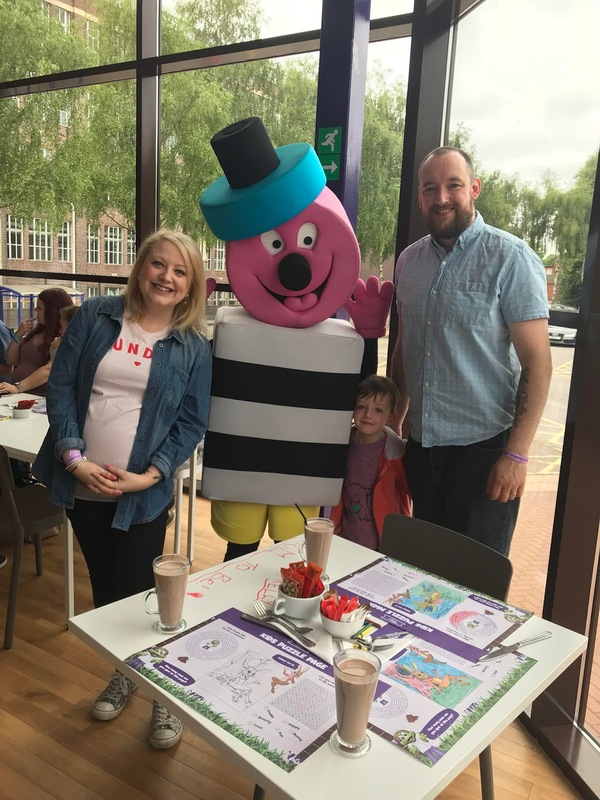 The character breakfasts start at 9.30am and as you are shown into the conservatory style room, the fun starts straight away with the Parrot ready to meet you and your table ready with your name and colouring sheets for everyone in your group. After choosing a drink (tea, coffee, orange or apple juice, and of course, Cadbury's hot chocolate - our breakfast orders had been confirmed at time of booking), we could enjoy the antics of the characters, who came out one at a time and visited all tables, posing for photos and even trying to be cheeky and have a bite of our breakfast. Our waiter, Reece, was very friendly and chatty and made sure as one of the smallest groups on the day, that our breakfast was served first, which was a nice touch. Hubs and I opted for American waffles, with banana, whipped cream and, you guessed it, a drizzle of chocolate sauce, whilst Ethan tucked into a full English. Not that he finished it, but he gave it a good go! Reece told us that the hot chocolate is made to a new recipe and that they use around 20 kilograms of Cadbury Buttons, plus milk, to mix the perfect drink - and boy, can you taste the Buttons! 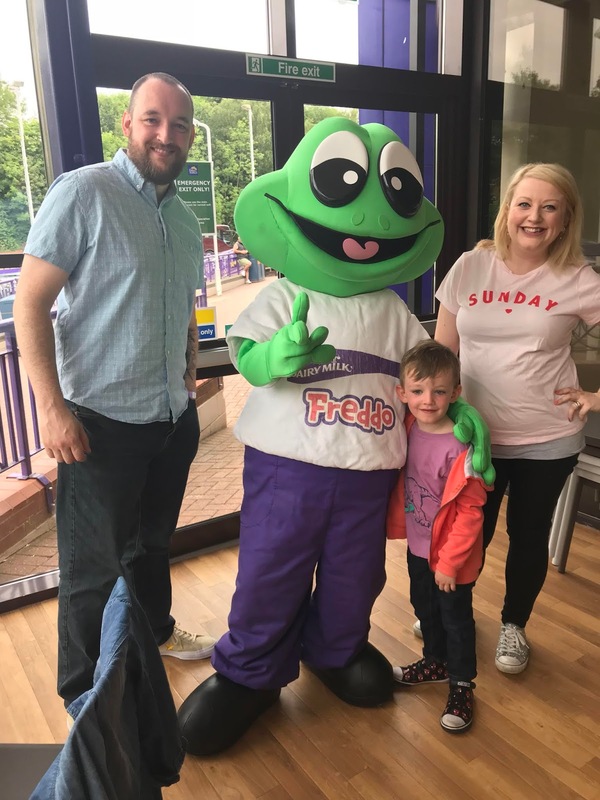 We spent around 45 minutes at the breakfast, with Ethan growing more excited as he waited for Freddo to arrive, although we could have stayed a bit longer if needed. Our plates were empty so we decided to go on and explore the factory. There was an activity card, about Freddo searching for the Missing Hop, so that kept Ethan busy as we walked around the first displays and videos about Cadbury's history and how chocolate is made. At the end of our whole visit, Ethan showed his completed card and received a Freddo comic book and a Freddo chocolate, naturally, for his efforts. Walking around the factory was interesting and there's parts where you can write your name in chocolate or have a picture taken on the green screen which can then put your face onto a Cadbury wrapper. 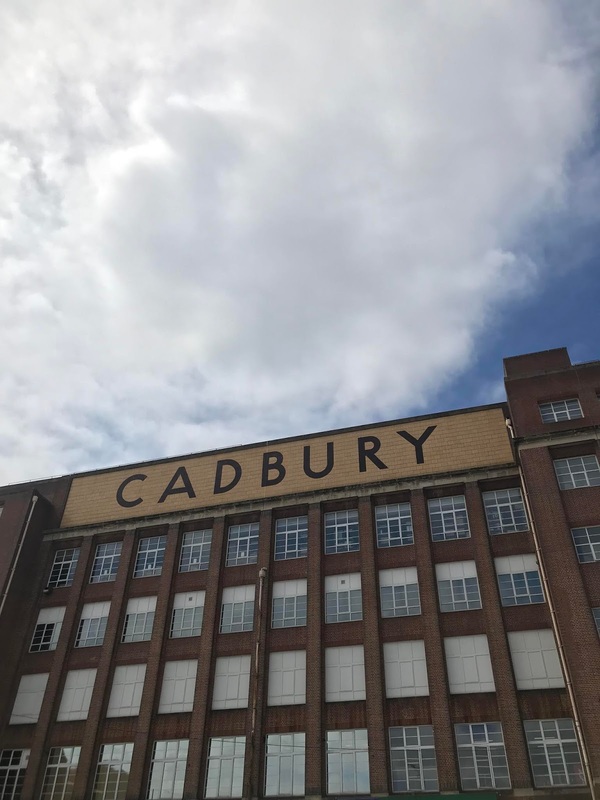 A big question you'll want to ask is how much chocolate do you get when you visit Cadbury World? Well, following our Cadbury breakfast, I have to say I wasn't craving too much more (I know, what's wrong with me?!) but on the day we went, you received two chocolate bars each when starting the exhibition (ours were Dairy Milk and Crunchie), then during the factory section you pick up another (we had Dairy Milk Oreo) plus there's a statition where you can try melted Cadbury chocolate in a tub with your choice of toppings. Oh so rich, but who could resist? At the end of the tour, Ethan had earnt another chocolate bar, so expect 3-4 to take home (if they last that long) and a taster as you go around. All in all, our visit would have cost just over £67 for everything, including the character breakfast, which you buy as an add on to your admission ticket for between £6.99 and £8.99 each, depending on what you choose to eat. Considering the factory offers plenty to explore, including a ride, interactive zone plus a 4D cinema experience, you can make a real day of it. 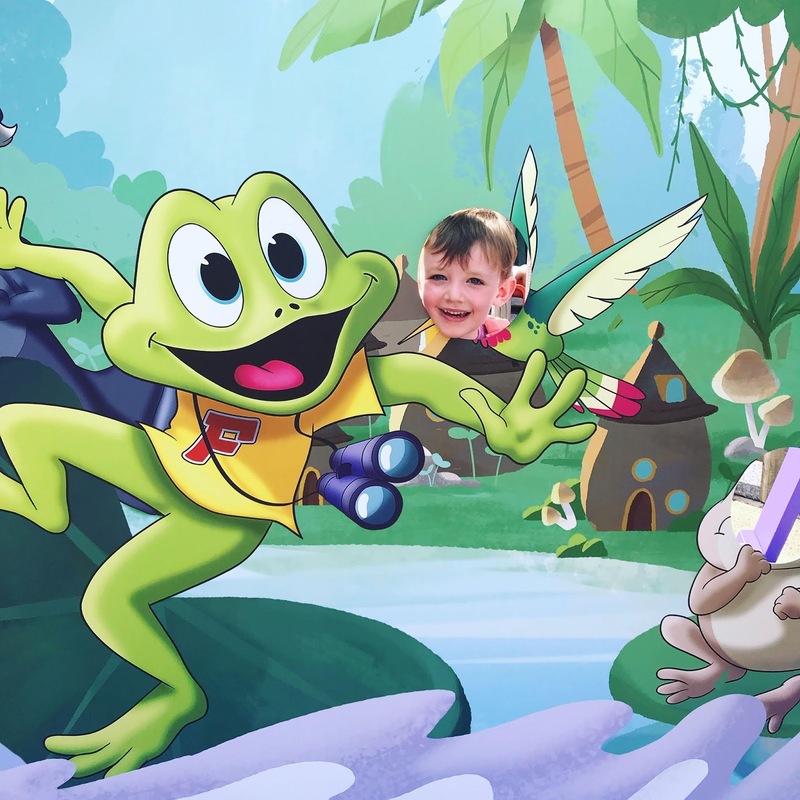 We also stopped by the Freddo Birthday Party show (there's one with all the characters too), and Ethan got called up on stage, which he was over the moon about, and squeezed in some time on the adventure playground too before leaving. It's a fun day for everyone and the character breakfasts really add to the whole experience - and cost less than a lot of breakfasts out you can get. They've been extended due to popularity so will be running again from 2nd August to 2nd September, so plenty of time to book it in - I promise you'll have a great time! His face really does say it all! 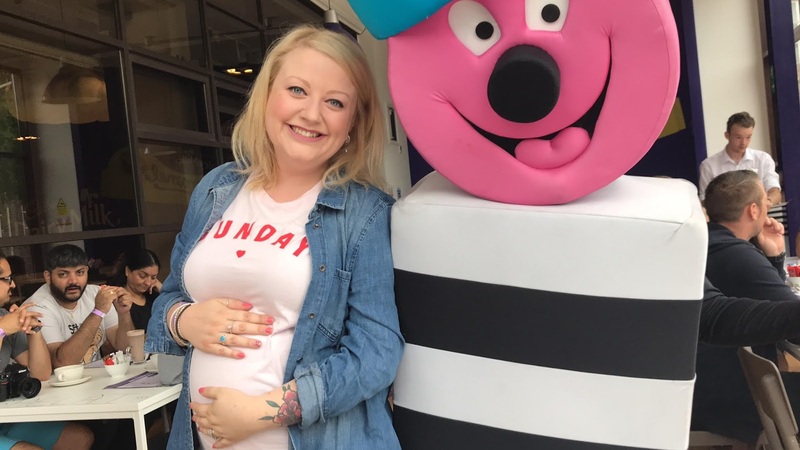 No matter the weather, there’s no chance of the fun melting away at Cadbury World this summer with a magical entertainment programme throughout the school holidays to delight visitors of all ages. From 21st – 31st July, the attraction will raise the curtain on two original live shows which put families firmly in the spotlight. 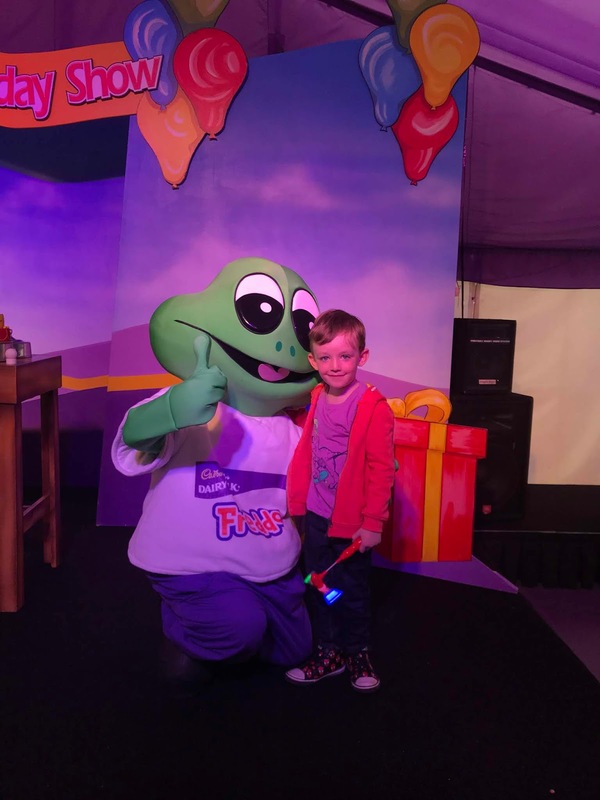 In Partytime with Freddo, guests can join the famous frog for fun and a sprinkling of mayhem in his birthday party preparations in a show packed full of audience participation. Old and young alike can also rediscover a beloved fairytale in Storytime with the Caramel Bunny as, with the help of a few friends, she invites young audience members to become part of her favourite fable in an exciting interactive show. Guests can even share a picture-perfect moment with the Caramel Bunny herself after each performance. 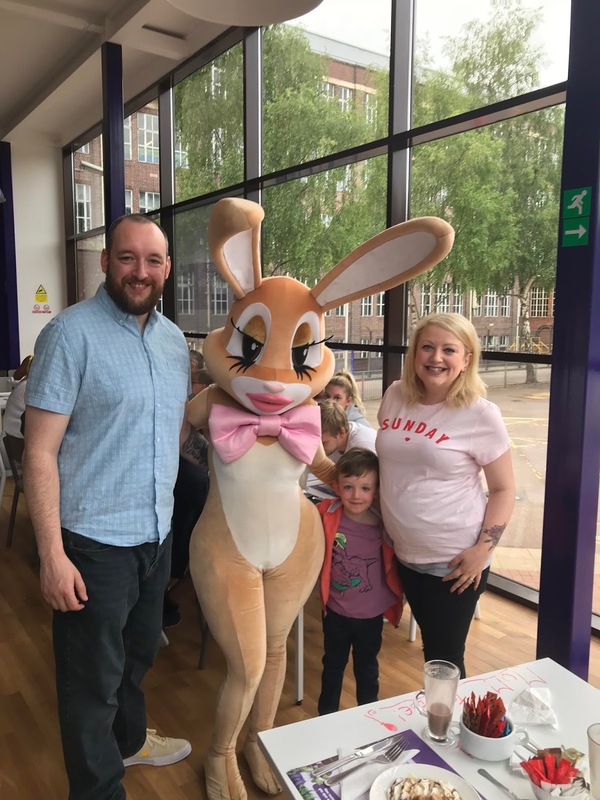 Whilst the fun takes place on stage, guests can extend the family fun with an up-close and personal meet and greet with some of Cadbury’s most iconic characters at Cadbury World’s Character Breakfasts. 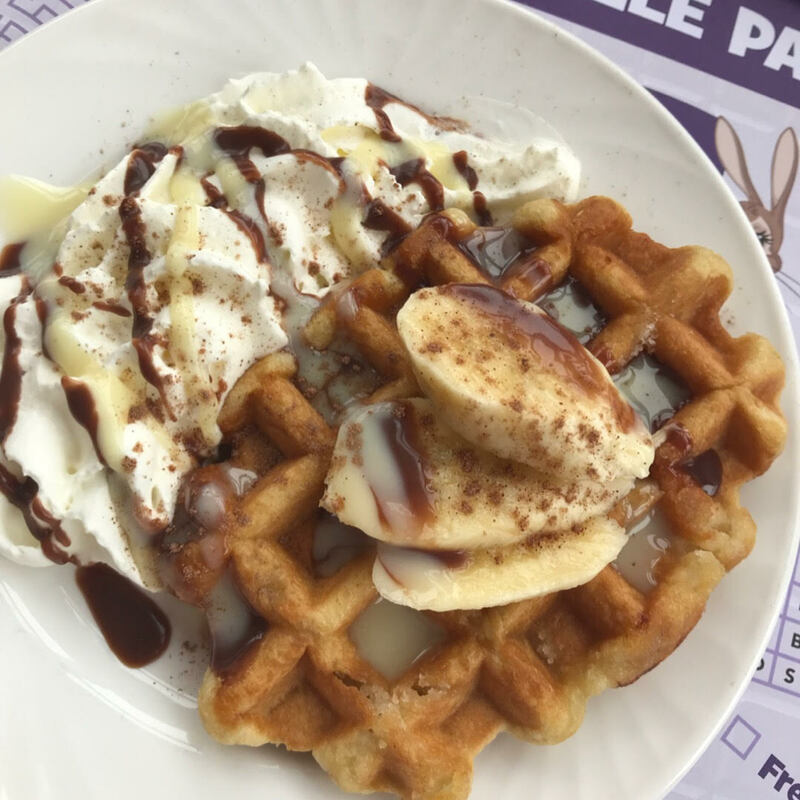 As well as sharing personal magical moments with lovable characters including the Caramel Bunny, Mr Cadbury’s Parrot and Freddo, visitors can also tuck into a delicious treat of either a full English breakfast (vegetarian option also available), sausage, bacon or egg muffin, or American pancakes or waffle with Cadbury chocolate sauce, bananas and cream. All options are served with a choice of orange juice, tea, coffee or, of course, hot chocolate. Those enjoying the Character Breakfast will also benefit from priority entry to Cadbury World and its two rides; the 4D Chocolate Adventure and Cadabra. Breakfast treats are priced from £6.99 per person and can be booked online at cadburyworld.co.uk. From 1st August – 2nd September, a variety of magicians, ventriloquists and entertainers will cast a magical spell over visitors with a host of family entertainment and live spectacles. Enjoy giggles and games for the whole family plus photo opportunities with the Cadbury Characters to make those ever-lasting memories. Beyond the range of additional activities, Cadbury World is packed full of fun and adventure for the whole family with an assortment of chocolatey zones to explore. Visitors can head to the 4D Chocolate Adventure zone to experience the feeling of riding the Crunchie Rollercoaster and diving into melted chocolate in a 4D cinema experience complete with motion seats, before heading over to the Chocolate Making zone to see the chocolatiers in action and taking a delicious taster for themselves. Guests can experience the digital chocolate delights of the Purple Planet where they have the opportunity to grow their own virtual cocoa tree, dance in virtual chocolate rain and chase Creme Eggs, before heading to Advertising Avenue to come face-to-face with everyone’s favourite drumming gorilla. Younger visitors can make the most of the good weather at the African Adventure Play area, whilst parents can take advantage of the change to relax with a drink, snack or ice cream. As well as The World’s Biggest Cadbury Shop, no visit is complete without a delicious pit-stop at the Cadbury Café, serving up a range of tasty treats including the famous Cadbury Rocky Road. * We were invited to Cadbury World for the purposes of review, but all opinions and excited grins are our own.